In today’s world, business transformation is a digital transformation and is about reimagining how businesses bring people, processes, and technology together to deliver enhanced value to their customers and maintain a competitive edge in a 24-hour global and dynamic economy. Robotic Process Automation (RPA) technology has emerged as the key enabler in the space of digital transformation. Enterprises across the globe are increasingly adopting this technology as a quick return on investment can be achieved with minimal investment and rapid timelines. According to industry analysts, Robotic Process Automation is the fastest growing digital transformation solution delivering operational agility and speed to market. Gartner expects that the demand for RPA tools is growing at 20 to 30% every quarter. Deloitte is projecting the RPA market to become $5 billion globally by 2020, with a CAGR of over 60%. Capitalizing on this phenomenon is the key to innovation and growth. Let’s understand what RPA is and how it can be utilized to for your business to transform digitally. RPA is a technology that is used to automate repetitive and rule-based operations performed by people. It is a way to create a virtual workforce and increase business to gain a competitive edge in both customer satisfaction and enterprise agility. Robotic process automation technology enables operational flexibility, increased productivity and process simplification at a significantly reduced cost. This technology also helps companies to build a culture of innovation by freeing up their knowledge workers to focus on more strategic efforts and projects. Digital transformation requires a profound change in business activities, processes, competencies, and models by leveraging a mix of technologies. RPA technology is an enabler of such digital transformation. It is quick to configure your existing systems requiring no changes to the flow of processes. It improves the speed of operations with enhanced security and scalability and helps modernize existing solutions without creating new interfaces and integrations. In addition, RPA requires significantly smaller investment and has a high potential of delivering rapid ROI within weeks versus years. 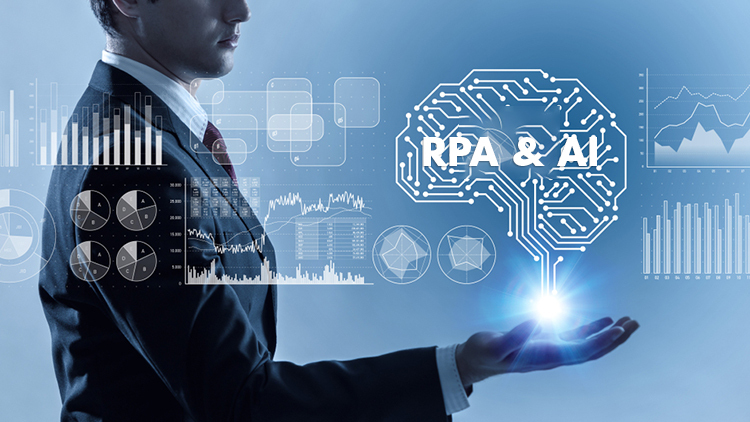 RPA provides the opportunity to change processes faster than ever, requires low coding skills, delivers higher performance with enhanced auditability and compliance and empowers businesses to innovate faster by responding quickly to evolving market conditions and the latest trends. Nividous has built a robust robotic process automation solution called Nividous RPA which is used by several leading enterprises globally across the industries. If you are interested to learn more about the product and its use cases in the life sciences industry, we jointly present an interesting webinar with Kinapse. Interested to learn more about how effectively robotic process automation tools and solutions can be utilized to digitize operations and simplify processes for your business? Register and join the On-Demand Webinar on Robotic Process Automation Technology – Enabling Digital Process Transformation today.